Even without an operator for the system, Transport of London has begun submitting planning applications for locating bike-sharing stations. This week the first four applications have been submitted to the Camden Council one of the areas in Greater London see map. The applications for the rest of the 396 stations will be continually submitted throughout the spring and summer to have the 6000 bike system ready to open in May 2010. 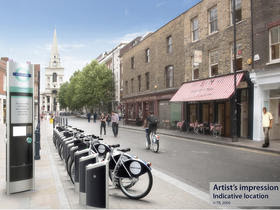 Keeping an election promise, the Mayor of London, Boris Johnson, said: "I pledged to deliver a cycling revolution across the city, and there is now a growing excitement about our cycle hire scheme, which will give all Londoners the opportunity to hop on a bike and experience the joys of cycling. Much like hailing a cab, people will be able to pick up one of 6,000 bikes, and zip around town to their hearts content - not only a quick, easy, and healthy option, but one that will also make London a more livable city," reports Britain’s Bike for All. With bike-sharing stations no more than 300 meters apart, the London system - is expected to generate an additional 40,000 bicycle trips every day in central London. 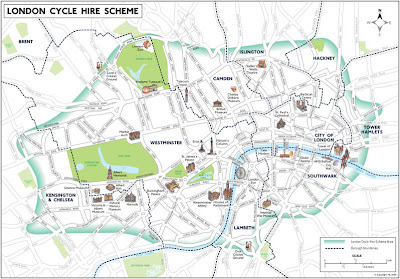 London is not the only United Kingdom capital looking into bike-sharing. According to The Scotsman News yesterday, Edinburgh’s transport bosses are to push on with plans to introduce a bike sharing scheme in the Capital. The Edinburgh council chiefs said that the scheme, which would help reach the target of four per cent of all journeys being by bike by 2010. A recent article by CNN titled "City bike-sharing picks up speed" discusses the problem of moral hazard. Wikipedia defines moral hazard as "the prospect that a party insulated from risk may behave differently from the way it would behave if it were fully exposed to the risk." Wikipedia goes on to define a specific type of moral hazard which is called a " 'principal-agent problem', where one party, called an agent, acts on behalf of another party, called the principal. 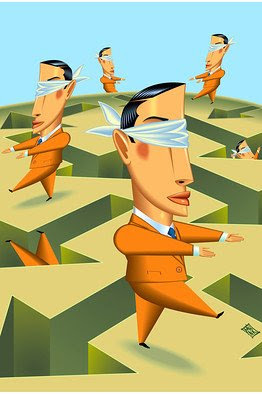 The agent usually has more information about his or her actions or intentions than the principal does, because the principal usually cannot perfectly monitor the agent. The agent may have an incentive to act inappropriately (from the viewpoint of the principal) if the interests of the agent and the principal are not aligned." As proven by JCDecaux's recent threats to close stations plagued by theft and vandalism as reported here at The Bike-sharing Blog in February, the bike-sharing industry has proven it is not free of controversy and has the problem of moral hazard. The CNN article quoted me stating that "[T]he advertising company does not benefit from revenues generated by the system as the jurisdiction does, so the advertising company does not have the same incentive to keep the bikes maintained as the jurisdiction would if it were operating the system. In fact, the better the advertising company has the bikes maintained, the more expensive it would be, and the less profit they would keep from the advertising contract." Stronger oversight of bike-sharing programs by local governments is needed to ensure the principal knows as much as the agent, as described above. One important step towards this is separating the advertising contract with the bike-sharing contract so true costs can be realized. A better method of provision could be the locality providing a management fee to the operator for the bike-sharing service. This management fee would include staffing, maintenance, distribution, and customer care. The service provider also should benefit monetarily from the success of the program and conversely be fined for not providing the quality of service to which they agreed to perform. Bike-sharing contracts should have carrots and sticks to encourage not just fair play by the agent, but superior behavior that is appropriate for a modern transit service with high customer interaction and expectations. Third generation bike-sharing (see history) has now seen 10 Earth Day anniversaries. Over the last three anniversaries, the number of systems exploded from one or two to over a hundred. This Earth Day finds North America with two operational third generation bike-sharing systems and more on the way. In celebration of Earth Day, the New York City Planning Commission has published a thorough feasibility study for bike-sharing in New York City with Bike Share Opportunities in New York City. Some of bike-sharing's naysayers have complained that it won't work in their home city because it's too hilly. Well, this isn't a problem anymore with Bicincitta's introduction of Mobik in hilly Genova (Genoa), Italy. MoBike is the world's second 3rd generation bike-sharing program with pedal-assist bikes. (Monaco had the first pedal-assist launch in February.) The bikes can go 19 mi (30 km) on a charge. When the battery is low and parked at a station, the station recharges it and will release it to another customer when fully recharged. According to Mentelocale, the service launched on April 5 with 60 bikes and 6 stations. MoBike is a partnership of the Municipality of Genova, Mobi (laboratory of sustainable mobility) in collaboration with AMT (Genova Car-sharing.) The cost to join the service is $40 (30 EUR) and the first 30 minutes of each trip are free. With a successful program, authorities plan to ramp up the service to 200 bikes. Farell Simone, Deputy Mayor and Councilor of Genova, stated that bike-sharing "is the critical mass of reform, the global movement, which manifests on two wheels." With MoBike, the people of Genova can do Mo hills and Mo trips by bike. Update: Xavier B. informs The Bike-sharing Blog that Parma, Italy and Segovia, Spain incorporated electric-assist bikes on a limited basis. 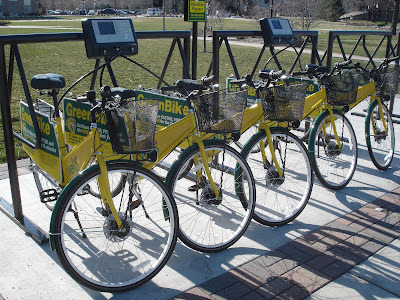 St. Xavier University's new Green Bike Program is the first 3rd generation bike-sharing system on a North American college campus and only the second such system on a college campus worldwide, after the University of Portsmouth's Bikeabout in 1996. Students, faculty, and staff are enjoying the use of 60 bikes at the 14 stations. The University's RFID value-added card allows use of the system. The first 15 minutes are free and each additional 15 minutes cost $0.60. Though a small closed system (i.e., it's not available to others outside of the university), it is a real advance for bike-sharing in North America. It’s also the first system in the United States for Veloway a subsidiary of Veolia Transportation.It takes college campus bike-sharing into the big leagues. For a picture of the system see the Bike Share Philadelphia photo album. Is it Lockup or Lockout? The Lord Mayor of London, Boris Johnson, has decreed the bikes in London’s 6,000 bike-sharing program, scheduled for operation a year from now, will not have auxiliary locks to tie up the bikes away from the 400 docking stations, according to Times Online. Contrary to original reports, Johnson will allow the use of a renter’s own lock, but will discourage it. The Bike-sharing Blog wants to know what you think. Should all bike-share bikes come with auxiliary locks or should the user be totally responsible? Please use the comment link below. We want to hear from you. The New York Times has reported today that Google has stepped into the bike-sharing arena as the provider of its 74,300-bike beta service in New York City. This program is more than two times larger than the nearest fleet size in the world. Following the naming lead of other popular programs such as Vélib’ and Velo’v in France, Google has named their program “Veloogle". Veloogle stations are at every corner in chic neighborhoods, every third corner in up-and-coming neighborhoods, and other communities will maybe get a station sometime in the distant future. All stations are uniquely powered with an infinite resource - waste cooking oil. Rather than solar power, which would be limited due to the city’s high skyline blocking solar rays to the street, nearby restaurants can pour their waste cooking oil into a compartment on a station’s kiosk and a chemical metabolizing agent breaks the oil down, creating energy, while also disposing of the waste oil in an environmentally friendly method. Google’s Chief of Green Operations, Alvin (Al) Goer, reports that enough energy is produced daily to power all of the 30,500 stations for the day as well as contribute 50 Megawatts of energy back to the local power grid. In other news, the local power company, con Edison, declared bankruptcy today. To register for use of the program, one must have a Gmail account and provide their credit card number. The first 30 minutes are free and each additional 30-minute period is free too as are most of Google’s services. Already on the first day of use, there have been nearly 53,000 day, month, and year membership registrations and 431,000 trips have been made. Also, a biodegradeable helmet is dispensed for each and every trip which members may reuse or plant. An apple tree will grow from a planted helmet as a homage to the city’s nickname - The Big Apple. With many technological advances that are pure Google, this system could be one of the very first of a 4th generation of bike-sharing programs. Veloogle’s innovations include: digital advertising on the bikes which are generated based on what the member is thinking; a global positioning system equipped on each bike that uses Google Maps to direct you to your destination via sidewalks or the sole bike lane; and a spam blocker that assists the bike dodge potholes, dog poop, and other debris. April Fools! I wish portions of this were true, but it’s an April Fools joke. Hopefully, somebody at Google will read this and make the good stuff come true.